Posted on April 7th, 2019. If you are one of the millions of tourists that visit the diverse and captivating county that is Mexico, you may have only explored the dazzling Caribbean and Pacific coastlines. This country is more than just a collection of gorgeous beach resorts and luxurious Mexican Villa Rentals. In fact, some of the Mexican cities to visit while you are on vacation, can create a holiday that combines the best of beach life and a fascinating metropolitan experience. Allow me to introduce you to some of the wonderful cities that can be explored in the ancient yet progressive country that is Mexico. We might have the so-called leader of the western world trying to build a wall between the US and Mexico but rest assured, the number of flights a day that will travel from any of the 50 US States (or the wider world) direct to Mexico vacation spots, will continue their trajectory wall or no wall! Forty million tourists made the pilgrimage to Mexico last year. And why not? 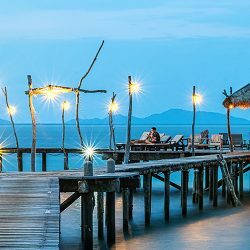 It is a country that offers guests a wide and varied offering: spectacular beaches, unparalleled sites of historic importance, diving, game fishing, horse trekking, jungle exploration, golf, delicious food, tequila, adventure, glamour and much more. Let’s take a whistle-stop tour specifically through some of the incredible cities, spread across Mexico. Let’s start at one of the most exciting places to visit in Mexico – it’s capital, Mexico City. With a population of less than 9m, this vibrant city is a mixture of Aztec antiquities juxta-positioned with emblems of the invading conquistadores intertwined with a very modern personality. 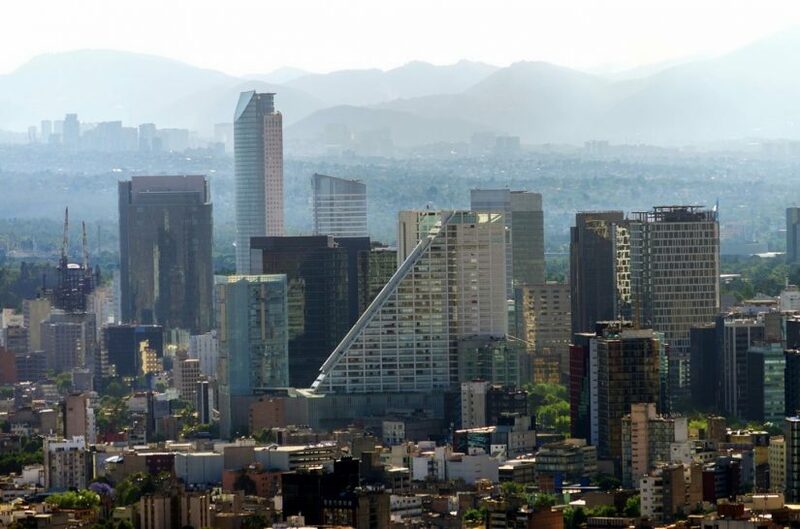 Its youthful population is well-educated and stylish and a visit to the Zocalo area (City Centre) of this high-altitude city finds a bright and sociable vibe. Best things to do: Visit the Templo Mayor, the ancient Aztec ruin. It is believed that this is the actual site where the Aztecs saw an eagle sitting on a cactus holding a snake in its beak. This is actually the symbol of Mexico today. Other notable places to visit are the Museo Frida Kahlo. This incredible artist lived in the shadow of the impressive artist Diego Rivera but has now earned international acclaim in her own right. Her museum is located in the Casa Azul (Blue House) where she lived for most of her life. Foods to eat: Pambazo – basically a ‘wet’ sandwich filled with potato and chorizo, dipped in a red pepper sauce and fried till crispy. It’s the thing to eat on the street as you gape at the incredible architecture in what is one of the very best Mexico destinations – Mexico City. Mexico is made up of 31 states and one of the most visited is Yucatan. The capital city of this State is Merida. 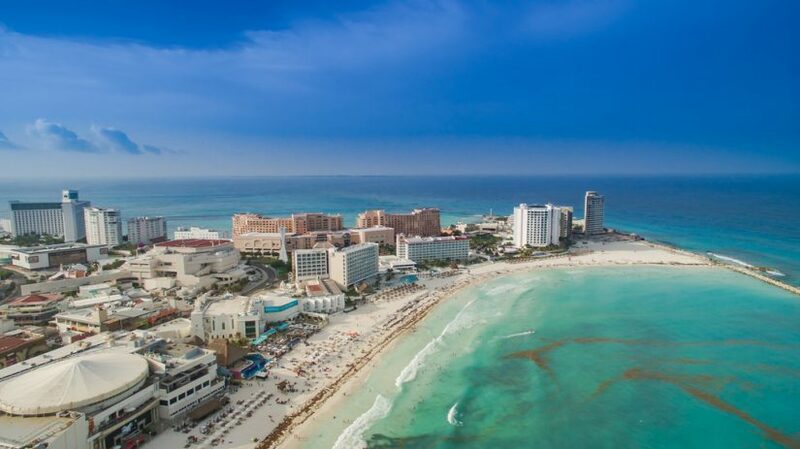 A tidy city with a population of under 900,000, it is considered one of the best vacation spots in Mexico being both safe and within a manageable distance of Cancun – on the Caribbean coast. Known as the White City for the profusion of pale stone buildings, this incredible destination was nominated American City of Culture for the second time in 2017. The centre of the city is easily explored on foot with lots of green open municipal spaces. It is one of the most attractive cities in North America. 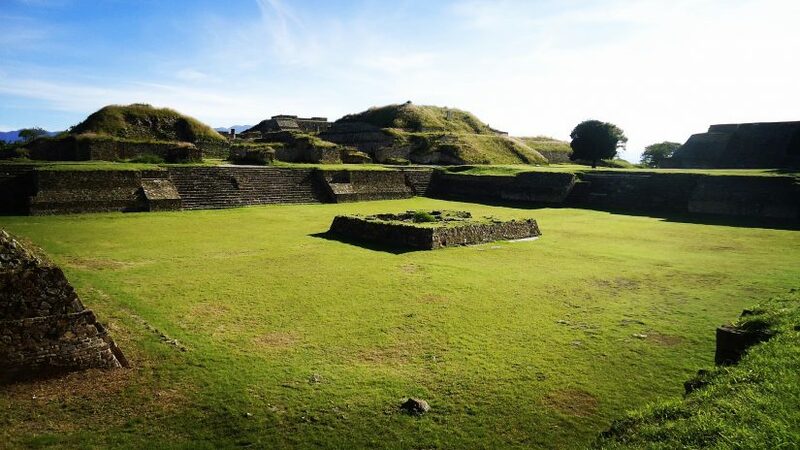 If you are interested in the Maya history of Mexico, there are still remnants of this ancient civilisation, dating back over 2,000 years BC, to be found in Merida. What to see: Palacia Canton, the Anthropology and History Museum is gorgeous as a building in its own right but has a worthy collection. The San Ildefonso Cathedral is one of the oldest churches in Latin America and well worth a look. In fact, churches and cathedrals are abundant in Mexico and regardless of your religious (or agnostic) leanings they are always fascinating to visit from a cultural point of view. What to eat: Cochcinita Pibil – This is a pre-Columbian dish that features pork marinated in citrus, seasoned with annatto seed and achiote paste, wrapped in a banana leaf and cooked slowly in a fire pit. 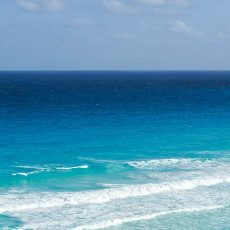 One of the best vacation spots in Mexico and probably the most popular of Mexico destinations is Cancun. It is also one of the safest places in Mexico. With a population of under 800,000, this city has evolved over the past decades along a distinctive sandbar that reaches out into the Caribbean. Beautiful villas, resorts and boutique hotels are interspersed with restaurants, night clubs and shopping to give guests to this lively corner of Mexico every amenity they might need to enjoy a fun holiday. The old party reputation of Cancun is very much on the down-low with the Spring Break party scene contained in very specific areas along the miles of coastline that Cancun occupies. 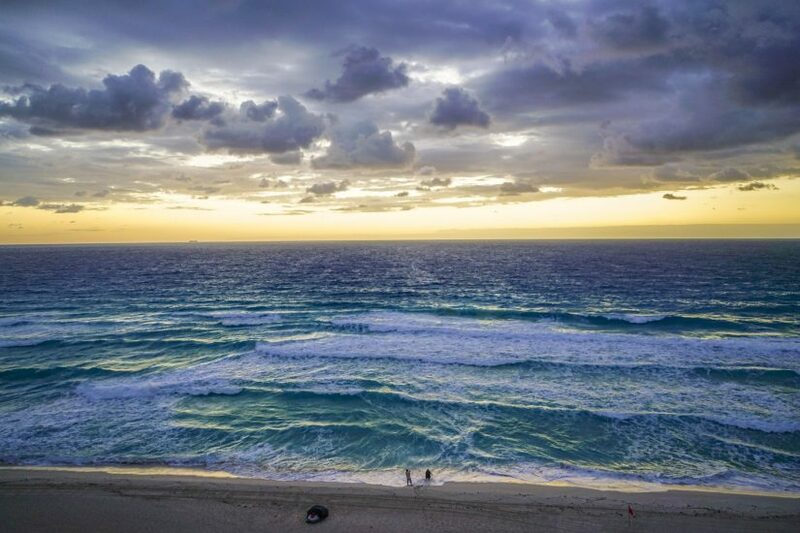 The beauty of the azure waters, the limitless stretch of white sand, the five-star facilities create the perfect day at the beach for everyone, with endless things to do in Cancun. 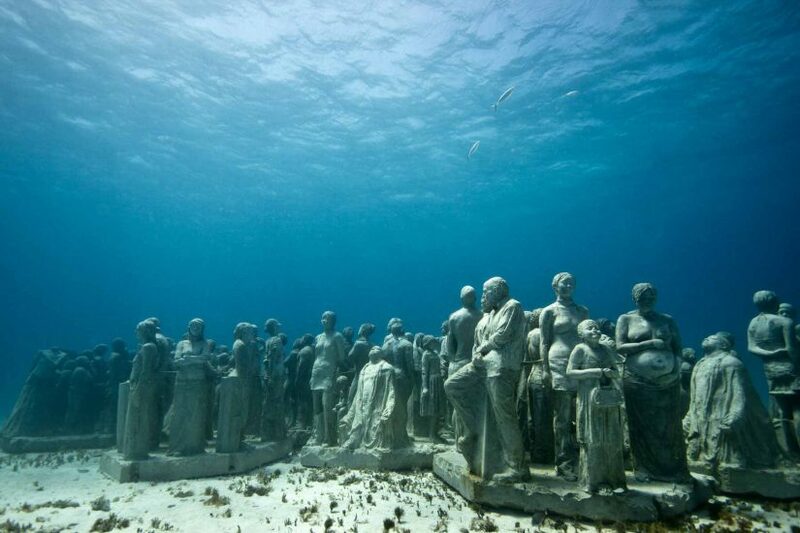 What to see: Cancun Underwater Museum. Take a dive through an extraordinary underwater sculpture museum. It isn’t easy to convey how wonderful this is. You just have to see it to believe it. What to eat: Mole – not the small furry creature!! A mole is a yummy chocolate-based sauce that includes fruit, nuts and spices. It is usually served over meats. Pure chocolate isn’t the sugary confection we are used to eating, it has a rich flavour that enhances these delicious sauces. Don’t leave Mexico without trying a mole! 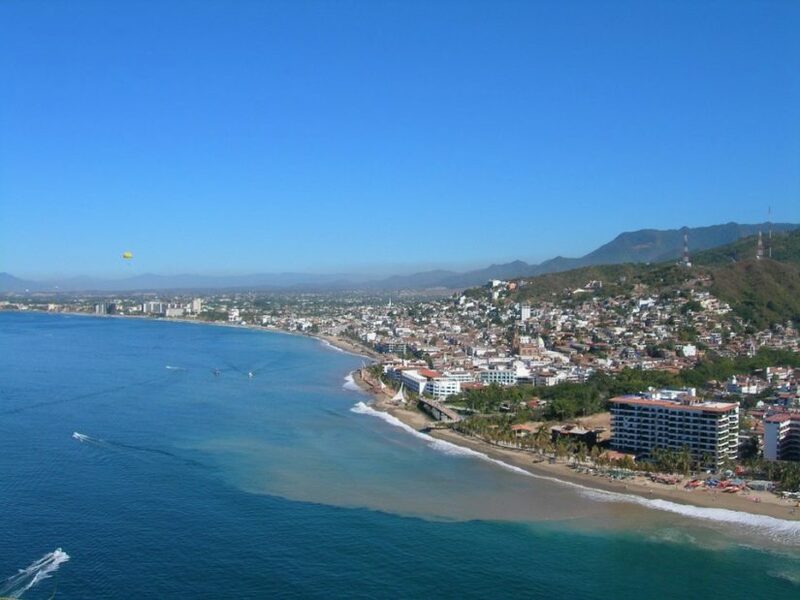 Now it’s time to visit the Pacific coast and one of the safest mexico vacation spots, see our Puerto Vallarta vacation guide for more information. Puerto Vallarta is a small city of about 200,000 residents. It is tucked in between some green, verdant hills and the turquoise splendour of the Pacific Ocean. The beaches are divine and there are many picturesque and luxurious villas, such as Villa Bahia, that capture the best views of this limitless horizon. Puerta Vallarta is one of the best places to visit in Mexico for families and guests who are looking for a more sedate Mexican experience. All manner of water sports and some inland hiking is readily available. Prepare to unwind in this happy and relaxed destination. What to see: Whales! The majestic humpbacked whales like to set up their maternity units just off-shore. Some very eco-minded boat tours will take you out to see Mum and Baby ensuring that you get to enjoy a once-in-a-lifetime experience without causing any stress for our mammalian friends. What to eat: Okay, a slight liberty here. I am recommending you try Tequila. This local spirit is a native of this region and is distilled from a local Blue Agave plant. When the plant reaches maturity at about 12 years, it produces a pineapple that is cooked and mashed to extract the juice that is fermented to Tequila. Interestingly, the town of Tequila that gives its name to the famous drink can be visited on a tour from Puerto Vallarta. Cheers! Just to keep it interesting, we are popping back over to the Caribbean coast, specifically Riviera Maya. 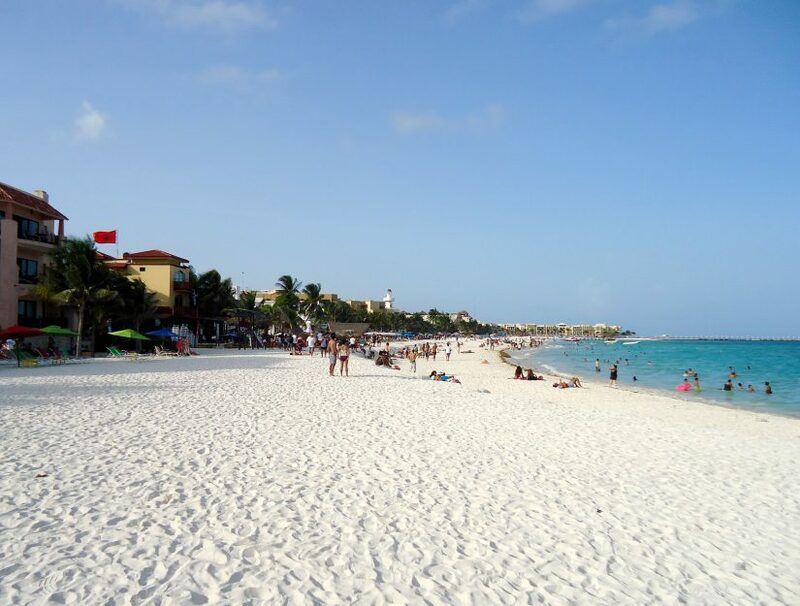 Playa del Carmen, known more colloquially as Playa is one of the most popular and best vacation spots in Mexico, with one of the top beaches in Mexico. It is a destination resort city of about 250,000 residents noted for its sophisticated and glamorous vibe. It has many gorgeous beach-fronted villas that will allow you to enjoy access to the perfect sandy shores of the Caribbean. Lovely boutiques, restaurants and an attractive nightlife scene are all part of the Playa experience. It is one of the best Mexico vacation destinations if you are a honeymoon couple, looking for somewhere special to relax and celebrate the first weeks of your life as Mr and Mrs. Things to do: Xcaret. This is a brilliant day out to be enjoyed from Playa. 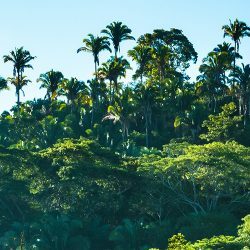 Set within easy access, this eco park allows guests to enjoy swimming, hiking and adventures all within a huge footprint of a natural reserve. There is a large outdoor auditorium that puts on colourful shows that tell the history of Mexico in a way that captures the imagination of all guests – young and old. What to eat: Chiliquiles – this is a breakfast dish and remarkably it is what we would call nachos back home. The chips are smothered in either red or green salsa, the goo-iest cheese from Oaxaca and topped with an egg or strips of cooked chicken (think brunch or lunch option). Once you’ve embarked on the Chiliquiles breakfast, you’ll find it difficult to re-embrace the bircher muesli when you get back to reality! Party central. 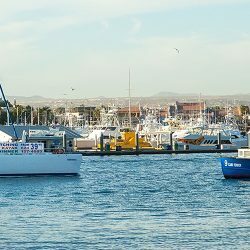 Yes, Tijuana is that unique of destinations that allows visitors to traverse the short drive from San Diego across the border to one of the most infamous places to visit in Mexico. Tijuana is also one of the places to travel without a passport. The reputation of this border city has evolved over time. It isn’t the danger zone it might have been considered historically. If you use your head (always a good thing to do on any holiday) and stay in the main touristy centres, you can enjoy a step into a free-flowing and fun town that is so very far removed from the homogenised US offering north of the border. Tijuana has become a very hipster destination, becoming famous as a craft beer centre and is extremely popular with young travellers who want to kick back and enjoy something different for a weekend. What to see: Avenida Revolucion is the main street, so to speak, in Tijuana. It’s the bustling centre of activity. Shopping for kitsch souvenirs and hitting some bars is all part of the experience on this street. What to eat: Street Tacos. Spicy, savoury … better than anything you could expect at home. Best place to try them? … just look where the locals are going! This city in the southern part of Mexico has become synonymous with a renowned international food scene. It is a UNESCO protected city of about 300,000 residents and is one of the best Mexico vacation spots if you want a very authentic experience. It is also the perfect Mexico vacation spots if you are interested in the history of weaving and cloth manufacture as there is the excellent Oaxaca Textile Museum. There are wonderful examples of rugs and clothing on display. There is a memorable festival surrounding the tradition of Day of the Dead (Dia de los Muertos) that runs from mid-October to early November. Candle-lit altars spring up around the city, there is music and celebration. This is definitely one of the best times to visit this city. What to see and eat: Food being the main event in Oaxaca, I would recommend a trip to the Mercado de la Merced for local empanadas. Try a little mezcal too. As you can see, this is a mere whisper of some of the best places to visit in Mexico. It is a vast country that offers so many wonderful and exciting adventures for guests to its shores. 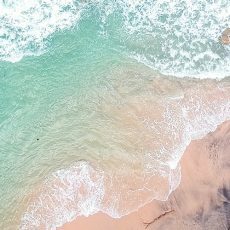 You may only wish to top up your freckle collection and to do that along one of the fabulous beaches of either the Caribbean or Pacific coast lines won’t be a hardship! Cabo, Cancun, Playa, Tulum, Puerto Vallarta … all along the Riviera Maya are numerous luxurious Exceptional Villas that will offer you a haven of bliss from which to enjoy all of the natural beauty of this glorious country. See some of the best things to do in Riviera Maya Mexico for more information. Perhaps you want lashing of history – Aztec, Maya, Conquistadores, 20th century acclaimed artists … it’s all here too. There are mountains, lakes, rivers, oceans, jungles and a dazzling array of wildlife. Golf courses too for those who like their nature tidy and neatly presented. And, of course, the food. There is hardly a city in the world that doesn’t offer some delicious Mexican food options but of course it is nothing compared to the sumptuous plates of delicious fayre that will tantalise you throughout any of the best Mexico destinations listed above. The authentic flavours and textures of the local cuisine are divine. Take the plunge and visit this country that increases in popularity every year. It is a voyage of discovery that will happily surprise you at every turn. Enjoy!